What questions should I ask at the Building and Pest Inspection? Why should I get a pre purchase inspection? 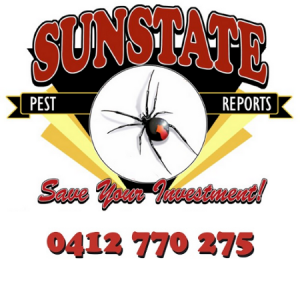 A pre purchase building and pest inspection gives you an opinion based on many years of experience about the condition of the property relative to other properties of the same age. It will also identify current defects and any conditions that may be conducive to termite infestation. Depending on the size and condition of the property, the onsite part of our inspections take anywhere from 1-3 hours. This time allows our Inspectors to gain a comprehensive understanding of the property and any issues it may have. What Industry experience do the Inspectors have? Our Inspectors have more than 20 years each that’s 40+ years in the Pest Control & Building and Construction Industries, is a licensed Builder, and has extensive experience in renovations, new builds, and therefore can spot a problem before it becomes a problem! Yes! This way you get to have a discussion with the Inspectors about the house and any issues or areas of concern you may have about the property. The Inspectors will still conduct the inspection on their own, but you are welcome to wait to discuss his findings. It will also mean you won’t find any surprises in your report! What if I have questions about the Inspection? Will I be able to speak to the Inspector directly? Yes! If you attend the Inspection you will be able to speak directly with the Inspector before and after the Inspection. If you cannot attend or have additional questions once you have received your report, you can phone the Inspector directly. We want to make sure you have the information you need to decide on the property. What if I want the inspector to address special concerns I have about the property? That’s easy. Either when you are booking or when you arrive at the property, just mention it to the Inspector and he will address it for you. How long until I get the report? We will email a comprehensive report to you the same day. Does the report have pictures so I can see things? Yes, our Inspector will take photos of major and minor defects, anything that can’t be inspected due to accessibility or safety, and any other areas of interest. What if the property has structural defects or termites? If the inspection reveals any structural defects or termites, a photo will be taken to aid in the description of the defect or location of termites (or conditions conducive to termite infestation) and recommendations will be made as to the best course of action. Where that involves further inspection by other trades (e.g. electrical hazards) then this will be recommended in your report. Termites will always require immediate treatment.